David Curry is president and CEO of Open Doors USA, a nonprofit organization focused on serving persecuted Christians in more than 60 countries around the world. He previously served as CEO of The Rescue Mission, in Tacoma, Washington. Scott Rae: You're listening to the podcast, Think Biblically: Conversations on Faith and Culture. I'm your host, Scott Rae, professor of Christian ethics at Talbot School of Theology at Biola University. We're here with David Curry today. David is president of Open Doors USA, the organization that serves the persecuted church around the world. David, we're delighted to have you with us today. Thanks for taking some time to be with us on this. David Curry: Thank you for having me. It's always a pleasure to be here at Talbot. Scott Rae: Many of our listeners, David, might not be all that familiar with the ministry of Open Doors. So, what is the mission of Open Doors? And what exactly is the kind of work that Open Doors does as an organization? David Curry: Well, the mission of Open Doors is to connect and strengthen the persecuted church around the world. Now, we started 60 some years ago. We had a very iconic founder. His name was Brother Andrew. Many people perhaps listening would know Brother Andrew. He wrote a very famous book called God’s Smuggler. And essentially, he started this idea that he wanted to take God's Word to people who did not have access to it. Who were living behind borders and walls, or in cultures where Christianity was opposed. Where people were harassed for their faith. And today, of course, there are countries where it's even worse than that. Where people lose their life for their faith. So, Open Doors is there to be an assist to the church. To help them, to comfort them, to train them in some cases. And fundamentally, just like 60 some years ago, to get them access to the Bible and Bible training. Scott Rae: Can you tell our listeners a little bit more about the life and legacy that Brother Andrew has left? He's still alive today. David Curry: He's still alive today. He's getting close to, if not 90 years of age. He lives in Europe. He always has lived in Europe. One of the things I think that's really encouraging for those people who have met Andrew or have read his books, is that he's not like somebody you've met before. He's just different. He's a maverick personality. And I say that because, people listening who have God's calling on their life, or ministry, or feel like they have a calling to fulfill, sometimes you feel like, “maybe I don't fit the mold.” Brother Andrew doesn't fit any mold. He breaks molds, and he's this iconic classic person who decided to go into the Soviet Union, basically because people told him you couldn't do that. But he had the strong drive to get people Scripture in the old Soviet Union. But then it transitioned. He really felt God calling him at some point really prophetically, I think, to get into China. To start dealing in the Middle East with Muslims. And he's just been an amazing guy. But he sends I think really a strong message to the body of Christ with his life, but also with his writings, that you need to be in prayer, you need to be focused around the book. Because around the world when you're in Muslim cultures, when you're in persecuted countries, you need to be centered on what's true, what crosses cultural boundaries, what's eternal. But also we need to be adventurous. We need to gather not just in the walls, but get across borders into countries, and into places, and connect with people who are our brothers and sisters in Christ, but they don't have the freedom we do. David Curry: Yeah, he's just, every time you meet with him, you're learning something different. On one occasion I was with him in the Netherlands. We had a long dinner, and I was trying to get every story I can out of him. And I said to him, "Hey, does your wife travel with you anymore?" And he launched into a story that I've never seen in any book, or heard before. That he was in Afghanistan, reaching out to tribes that were with the Taliban, and he was captured. He and his wife. And I was like, “Wait a minute.” He was telling me this story in context to, do you travel with your wife? That was the question. And he sort of secondarily talked about getting in to meet the Taliban, and that he was captured by a rogue group and held captive. And he was so desperate to talk to them about Jesus, that he was going in there with his spouse. And eventually, of course, he was let go, and the answer to my question is he doesn't travel with his wife anymore for that reason. But, the sort of person when everybody's trying to get out, and get away, he wants to talk to them about the book, and about Jesus. And that means, in his day, talking with people like Yasser Arafat, Idi Amin. These people who are dictators in their day, and/or suspect characters from other faiths, wanting to talk to them about Jesus in schools across the Middle East, and Asia, and Pakistan. So, he's just a dynamic character, and stretches our ideas about what it means to love others who might be from a different faith, but also those who might be persecutors themselves, which is really a biblical concept. It's a New Testament concept that we understand sort of conceptually, but when you talk about: Does God want to reach Osama Bin Laden? Does he want to reach al-Baghdadi, who's a leader of Isis? Or some of these other characters? He wants to reach these people, but who is going to take that message to them? It's a hard message, but it's one we’ve got to struggle with, and Andrew sort of leads the way in that. Scott Rae: Yeah, sounds like he spent his life being very courageous in going places where very few people dared to go before. I know back in the ’50s and ’60s, it was not that common for people to go that brazenly behind the Iron Curtain. David Curry: And his statement to me, and to many others, was be that God always promised me that I could get in. He just doesn't always promise that he can get out. But God's always brought him safely through it. And I encourage people to read God’s Smuggler. It's about the Soviet Union, and that adventure of getting Scripture into the Soviet Union, but it's not. It's about dealing with persecuted Christians. It's about courage, it's about the development of personal faith in the face of persecution and danger, which is more prevalent today than ever before. One of the assumptions that we work on at Open Doors is that the greatest wave of persecution of Christians has not happened yet. And we're in the modern age, it's never been higher. 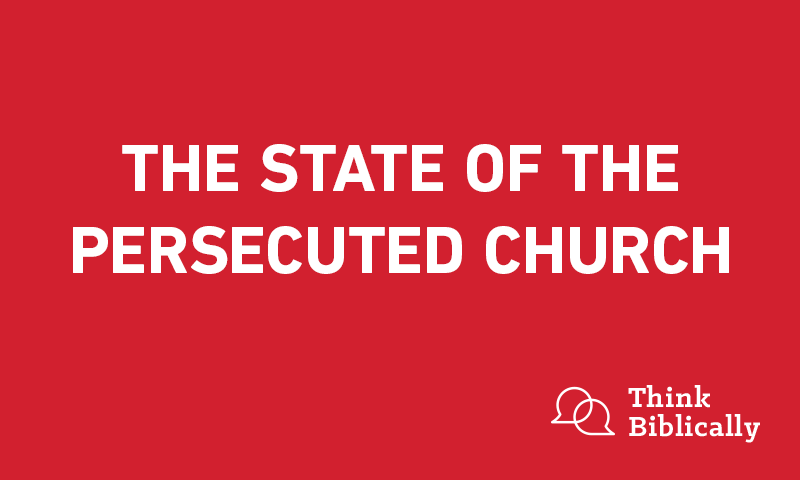 But I think that people who are listening to this podcast need to know all of the key drivers that have made these last four years extremely high in persecution of Christians, they're all still in place. They're growing, they're spreading: Islamic extremism, and all those other factors. So we need to be prepared to be a courageous group in ministry across borders and in regions that we don't often think of. Scott Rae: So, tell our listeners a bit about the World Watch List, and how that gives us a glimpse into the state of the persecuted church around the world. David Curry: Well, the World Watch List is a product of Open Doors. We started about 25 years ago as an internal mechanism really before that to try to figure out, God, where are most people in need? And where might you be leading us? There are a number of factors whenever Open Doors gets into a particular country or region that we're looking at. Some of it is a spiritual sense, and sometimes God moves you into a country or region when it's not yet on the World Watch List of persecuted countries. For example, Syria. We started into Syria when there was no persecution, but we really sensed God leading. It was a spiritual thing God was leading, and Brother Andrew, but also others. And then five or six years later after we built an infrastructure, the country falls apart. Scott Rae: Somebody had a nice prophetic sense about that. David Curry: Yeah, he really did. So, the World Watch List was starting to help us analyze, where is persecution at its worst? What are the factors of persecution? Because in some countries, the government is the persecutor. The police force is the persecutor. In other countries, it's cultural thing. It's even within the family, where if a family of extreme Islamic belief has someone in their family that becomes a follower of Jesus, they can be ostracized from the family, or worse. In many cases it's worse. So, we have this World Watch List now that we share with the world for the last 25 years. And we rank the most difficult places so that people don't have to guess. You don't have to wonder based on an anecdote you heard, what is the toughest? And, we provide that for people on our website and in the media at opendoorsusa.org. And I guess country profiles help you understand the different nature of it. It's different in North Korea than it is in Somalia because of the culture, because of the government factors and so forth. Scott Rae: And the World Watch, it's updated and released every year? David Curry: Every year in January we release it, and governments pay attention to it, and we brief the State Department on it. But really, it's a mechanism for the body of Christ to understand, to pray, to be connected with their brothers and sisters around the world. Scott Rae: Do the players on the World Watch List change much? Or are they pretty well entrenched in their spots? David Curry: There’s — it's a little bit of both. For the last 15 years, North Korea's been at the top, for all of the reasons that people probably can imagine. You have a strong government with an old-school communistic system that uses all of the mechanisms of state to repress Christian expression. And number two, you have Somalia. But, it's number two by one point. So, this year it could be number one. And, in North Korea, if you're found to have a Bible, you'll be arrested, and put in labor camp maybe for the rest of your life, and many Christians die: 60,000 Christians today in labor camps in North Korea. In Somalia, if you're suspected of being a Christian, you won't even get a trial. So it's just totally different mechanisms of persecution, equally dangerous in some sense. But, the tribal nature of Somalia, and the brutality, vigilante justice against Christians, is right there. So, you've got a lot of factors like that in the World Watch List. And you have these trends that do bring changes. The rise of radical Islam is obviously something that's been a trend. But the rise of radical Hinduism in India and other parts of the world is now a new trend that's gonna bump up India from where they're at to ... It's jumped up to number 15. It was way down on the list, maybe into the top 10 this year. That's brand new. And by the way, people listening here, Christian pastors and so forth, they're not yet caught up to this idea. When people think of India, they think of Gandhi, they think of peaceful revolution, but this is just brutality against Christians. It's oppression from the state. It's attacks from radical Hinduism against churches and pastors, on a massive level. So, India is something that's changing a lot. It's one of the trends I could recognize that's different in the last two years, three years. Scott Rae: We've had several of our grab students at Talbot who've come from India. Came to Christ out of Hindu backgrounds. And a couple of them have told us that they have not traveled back to their home since, because they're afraid to go back to the village that they grew up in. They literally fear for their life. David Curry: Well, it would be analogous to imagine if I guess, maybe the Muslim brotherhood in Egypt taking control would be an analogy that people could understand. The government of India is now run by people who are sympathetic at the least, to radical Hinduism, and they're not pursuing people who attack Christians. They're laying down laws and policies that make it very difficult for Christians, and it's gonna be a big challenge. Scott Rae: And radical Hinduism has its own analogy to jihad and things like that in radical Islam? David Curry: Well, it sounds very much like nationalism. That you're not a true Indian unless you are Hindu, and we have to purify this country and bring us back to our Hindu roots. It's a version of what you see in other countries. But it gives free rein. They have their clerics of sort that — even on I've seen public news programs like their version of CNN — where they talk openly: They want to get rid of Christians and Christianity by 2025, I believe it is. So, just within the next few years. And they're bringing a lot of pressure on it. Now, this isn't the country that has a handful of Christians. There are 65 million Christians in India. And they're gonna make it difficult for those people to get funding, support from their ministries. They're already doing that. Succeeding on some level I'm afraid. But also imprisoning pastors, and making sure that they don't have the freedom to talk openly about their faith. This is one of the things that embedded in all of these different movements, is they want to restrict the freedom of choice for people to decide their own faith. David Curry: Things have radically changed, and it's gonna be a major issue because we have a lot of brothers and sisters there, and it's a major player in the world community, and seeks to be more so. In the economy and so forth, they just have so much influence in that way. It’s gonna be a challenge. Scott Rae: Now, a big part of what Open Doors USA does is to bring awareness of the persecuted church to churches in the United States. What are some of the challenges that you face in bringing this kind of awareness of the persecuted church, and making it stick in a lot of churches today? David Curry: Well, I think the first challenge that jumps to mind is the one that a lot of people will understand. There’s just a lot of noise out there. There's a lot in the political sphere. There's a lot of busyness that goes on in our culture. And with social media, and the increase of information, it's hard to break through. The other thing I would say that's a challenge for us — and our goal is to really make this issue, the needs and the stories of the persecuted church unavoidable for an American believer — is to try to help people understand how closely they are connected to what's going on around the world. And that this is not an ancillary issue. It's central to all of the things that we're dealing with. And that it's also coming closer to us. And we're just you might even say, a stone's throw away from experiencing this in a very significant way. Maybe not in governmental control, although you see an increase in aggressive secularism that seeks to make laws and policies, and make it difficult, you'll see it rolling over into our tax policies, people wanting to rescind taxes. Biola’s had challenges here, and Christian universities. So, those sorts of things are gonna grow, but it won't take too long I think before we may see a tax on churches in the United States, and then people will begin to say, "Oh, wait a minute, I guess this is a worldwide issue now." But, let's go beyond that. I really think that the American church needs to look beyond their own self-interest, and say, "Look, what are we called to do?" There are a lot of things that in Scripture we’re called to do. As individuals maybe one person has a calling to do this, and another person has a calling to do that. But there are some universal callings, of which one is to care and to pray for people who are in chains for Jesus’ name, and/or persecuted for Jesus’ name. So, that's where I want to start. This is what we're all supposed to do. And, at a base level, be praying for those people who are persecuted. But in all the noise, it's hard to sort that out. It's a hard subject, I think, to get close to, because it sounds a lot like embracing a trauma. But I think there's so much victory in the midst of it too, that it comes with its own benefit, if you will. 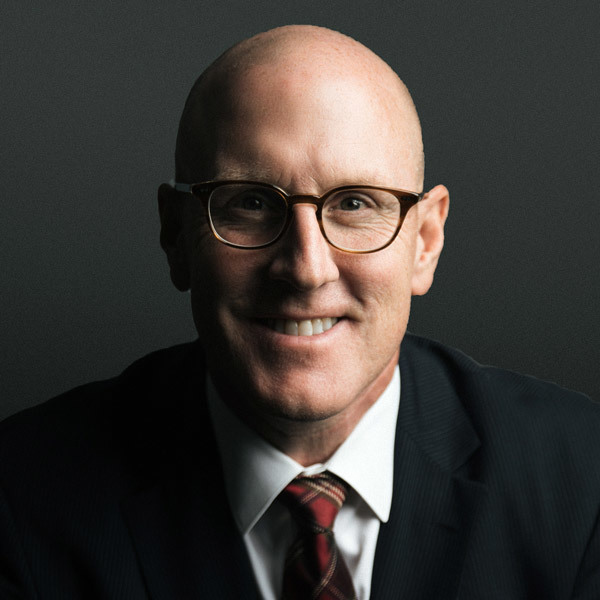 Scott Rae: It seems to me, this is one of the areas at Talbot here, where we're equipping the next generation of pastors to get them to see that our commitment to, concern fo, and prayer for the persecuted church is just part and parcel of faithfully following Jesus. It’s not a program, not an add-on. It's not something that we do once or twice a year. But, it's just part of the fabric of who we are as a follower of Jesus. David Curry: And, it needs to be part of it. There's a couple reasons why. Of course, there are incidents and issues that we can help resolve. And that's the way we typically see it, is as a missions need. But, there's more to it than that, because when you get close to the people in persecution — and this is what Andrew found when he was going across the border 60 some years ago when he started, but it's also what you see today. When you get close to them, you hear the stories of victory. That, when you lose it all, is God enough? Don't we all wonder that on some essential level? And the answer is, he is more than enough. Even in North Korea, in Somalia, and these places. So, you walk away in a way emboldened, in a way encouraged. Your heart's always broken, but I think that's not such a bad thing sometimes with all the blessings we have, and freedoms we have. Scott Rae: That's that a very provocative question to put to our listeners today. That if you lost it all, would your relationship to Jesus be enough? At this point, I think, there are lots of us who are grateful we don't have to put that to the test, at least at the moment. But, if I hear you correctly, that may not be too long down the road. David Curry: I think we're gonna see those challenges. And I think certainly, anybody who's listening to this podcast, it's a good assumption that these are leaders here. And you're a leader of you're gonna be a future leader. And you're going to see this rise firsthand. Deal with these pressures. Let's not just look at it from the viewpoint of terrorism, or policy, or tax law. Let’s look at it first as a spiritual issue. Get this down in your heart. Jesus is enough. He's called us. He’s said, “Look, there's a way you can avoid this, just don't talk about Jesus. But, if you're gonna be one of my kids, it's gonna be with you. Persecution's gonna be with you." So, it's an interesting thing because one of the things we don't do at Open Doors, is try to make work on the assumption that we're gonna eliminate persecution. We try to advocate for people. If they're in prison, we'll get in there and help get them lawyers, and get them help in any way we can. But, we know if we're talking about Jesus, there's gonna be persecution right until the very end. And so, I think that's important to realize. Even in all the injustice in the world, I think it's right to try to alleviate it. But know that if we're gonna be about Jesus, we will be opposed. Scott Rae: So, Open Doors is not in the business of helping persecuted believers get out of their context? We actually wanted a strong indigenous church in Mosul, in the north of Iraq, which is biblical Nineveh. Imagine Nineveh through the eyes of Jonah. Well, you have a very similar sort of spiritual case here, where, we're called to have a body of Christ in Nineveh, in Mosul. We need to get in there. We don't need to ship them all. Now, it may be that God wants some of these people out for their safety, and so forth, and that's certainly part of the leading of the Lord. But, I think as a fundamental understanding, we need indigenous people groups in North Korea, in Iraq, and Syria. And we need to essentially strengthen the church. And that's what Open Doors is about. Whatever its need, we want to be there to strengthen it, so that it can be strong and be rooted. Scott Rae: And I take it over the years that you've been with Open Doors, you've come into contact with some pretty fascinating people. Both as you travel, and people who are brought over to this country to visit and help raise awareness of what's going on with the persecuted church. Can you tell us some of those stories of people who I suspect have become your heroes? David Curry: Yeah, there's a lot of heroes. One of them that jumps out, and part of it is the mechanism that I had to go through in order just to meet with this pastor. He's a pastor in the Uyghur — northwest part of China — that's the Uyghur people if people are familiar with that. And in the Northwest part of China, you have a large Muslim population because of the silk road trade over the years. And so, you have extremist Islam in that, and the Chinese government has sort of quarantined, in some ways, that people group. Because, they know extremist Islam group is there, so they crack down on religious rights. But it also means they're cracking down on Christians. So you have a situation where the government is cracking down on Christians, and they're living in the midst of extremist Islam. So I had to go to China to meet with this pastor and talk about some of the projects and ways that we could help serve them and support the church there. And had to meet this pastor. His name is Pastor James, and he's a true hero. I had to meet him, and we literally had to have him jump into my vehicle while it was moving so that people couldn't track us and find us in our meeting place. And then we just drove around the city for three hours. Just talking, sharing, praying. And he is on the run. Last I heard he's still on the run. But, at the same time, he had 200-some small groups in that very difficult region. Scott, I'm telling you something, if you were with him right now, you'd have a big smile on your face because he's smiling, and laughing, and is a person of joy in the midst of that. So, talk about heroes, I don't think of names that you'd recognize, but people when you see them, you recognize greatness, you recognize the peace of Jesus. People like pastor James in China would certainly be one of them. Scott Rae: Now, you've also had visitors to this country from North Korea? Scott Rae: Can you tell us about some of those? Those would strike me as being major heroic people. David Curry: Yeah, and some of those people that we would meet here, of course, would be people who have escaped. But some of the really heroic people — I don't think people really understand how much ministry is happening in China. And you always hesitate to talk about it, because people are under such extreme pressure. And the North Korean government monitors Open Doors. They monitor our statements, and our publications, and so forth. So, we're very cautious about how exactly we support the persecuted church. We don't talk to their kids about it until they're of age, because the government will use minors, or they'll get into the school and say, "Hey” — in a world of famine — “we’ll give you another chicken, or some more food or resources, if you tell us if mom or dad have a Bible." And, that's how some people are found out. Because the kids, not knowing they'll never see their parents again, will say, "Yeah, mom has a Bible stashed." So, it creates a very dysfunctional setup. But that's the nature of that very unusual regime that's been in place since the mid-40s. Scott Rae: Open Doors works quite a bit in the Middle East too. A few years ago the Arab Spring was celebrated as this overthrow of dictators, and supposedly this great opportunity for freedom, and freedom of conscience. What's happened to the church as a result of the Arab Spring? David Curry: Well, for a long time we called it the Arab Winter because of the Muslim Brotherhood and the impact of that, and the recourse it's had throughout. When there's been freedom it's sometimes a snap to the rule of radicals, or tribal culture. The way it's played out anyway, of course. Having said that, there are pockets of hope in the Middle East. I think you look at Egypt, it's a strong church, it's a young church, and it's a church under attack. ISIS — I think you'll see more about this in the news — ISIS, while it's disbanding, and being forced out of the North of Iraq and Syria, and losing territory, is metastasizing. Their bomb folks are training people in Africa. They're targeting disrupting Egypt as they know that that government supports more freedom, and they have a lot of radical schools in Egypt. So, there are pockets of hope in Egypt, but it's a tough area. I think a lot of young, strong church in Iran, you don't hear about it much. So, there's a lot going on in that revolution that can be seen as bad, but there are pockets of hope. Scott Rae: A lot of good stuff in the midst of that. David Curry: A lot of good stuff. And I would say, the Syria church, while it's gone through a civil war the last seven or eight years, is reviving. Scott Rae: One last question. Of all the things that the persecuted church is dealing with, what's the one thing you want our listeners to be praying about for the persecuted church? David Curry: Well, if they're praying about the persecuted church, I'm encouraged. I would just say that. When the persecuted church asks for prayer, they ask for spiritual revival. They don't want us to pray for them, not so much as they do with them. And, that's very consistent. Shockingly consistent. They're not asking for things. They're asking for prayer of community, and protection. Scott Rae: David, thank you so much for joining us on this broadcast today. This is so helpful to raise our awareness of what's going on in the persecuted church around the world. And, may our listeners see this as just something that intrinsic to their relationship to God. David Curry: Well, thank you. This is a wonderful place, and you all are doing great work. Scott Rae: Delighted to have you with us. Thanks. This has been an episode of the podcast, Think Biblically: Conversations on Faith and Culture. To learn more about us, and today's guest, David Curry, and to find more episodes, go to www.biola.edu/thinkbiblically. That's biola.edu/thinkbiblically.